Listeners of my CATtales podcast series will be familiar with the interviews I have done in the world of music and entertainment but, before technology advanced to a stage of broadcast, these conversations were published in printed magazines and online media.Although all these interviews were recorded at the time, little or none of the early audio survives so it seemed fitting to immortalise the transcripts of these before they were lost to the ravages of time. 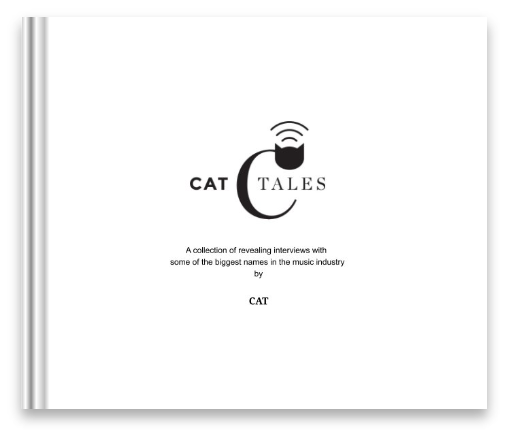 Produced by Bluebird Publishing, CATtales includes 10 conversations from 2000-6 including: The Proclaimers; comedian Phill Jupitus; Nils Lofgren (Bruce Stringsteen’s E-Street Band); Julian Cope (Teardrop Explodes); Roddy Frame (Aztec Camera); Eddi Reader (Fairground Attraction); and Mick Gallagher (The Blockheads/Animals), amongst others. Available in a softback, CATtales is a 92 page landscape book, measuring 10×8 in (25×20 cm) and is available to purchase at the not for profit price of £34.89 (+pp) to cover the cost of production.